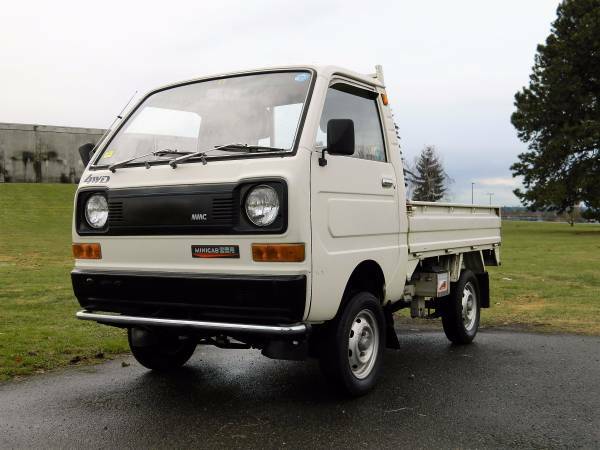 This very rare pickup truck in the U.S. imported directly from Japan looking for a new home in Seattle, Washington. As shown here is a small utility truck fitted with 4x4 drivetrain that was made by Mitsubishi Motors well-known as the Minicab designed as the kei truck built and sold in Japan for domestic market since 1966 - present. And this is a third generation released in 1982 come with right hand drive format powered by a 550cc 3-cylinder SOHC engine mated 4-speed manual transmission making it one extremely fuel-efficient trucks on earth today and reportedly only about 22K miles on it, still in greats condition for a 35 years old truck, all still functioning very well. One remarkable 1982 Mitsubishi Minicab 4x4 Utility Truck being offered for sale in Craigslist asking $6000, could be perfect to be a farm truck or just to be off-road toy. Here a classic full-size car that was looking for a new owner, is the second generation of the Datsun 810 were renamed as Datsun Maxima built by Japanese automaker Nissan Motors was sold only in North America. As shown here is 1982 model year, fairly cool 4-door sedan body, it has a 2.4 L straight-six engine mated with 4-speed automatic Jatco transmission was driven about 126000 miles. The grandson of original owner says it all completely original except the radio and has some 280Z parts for helping in performance. All looks good overall, that's could be perfect sample to restored, the exterior still with original paint, no rust and dent was mentioned but it losing a body side molding for right door. No crack or tear on the inside is very clean for its ages, seems rarely used and had very good care for. We found this one in Craigslist in Vancouver BC for $1999. Found this one nice classic sport car produced by the Japanese manufacturer Nissan Motors under Datsun brand. 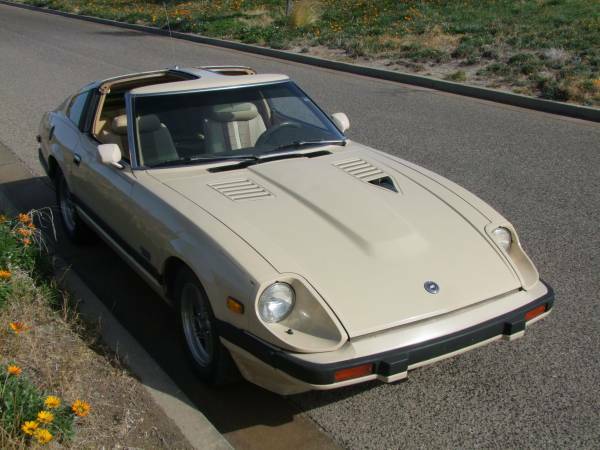 As shown here is twin brother of the Nissan Fairlady 280Z known as the Datsun 280ZX released on 1982 fairly handsome as 2-door targa body, powered by 2.8 L straight six-cylinder engines fitted a turbo and mated with 3-speed Jatco automatic transmission has been driven about 173300 miles. The car already offered in Craigslist about 12 days ago, asking $15900 location in Fort Mohave, Arizona. One with good reputation of the classic Japanese sport cars known as the original Datsun Z-car sold so well in its era was never in doubt. The seller claims is a rare model only 500 280ZX's come with a Turbocharged and this one of them is said still in excellent condition. As you've seen here, seems like entirely is original and had been well cared for, hard to find rust or dent from here. Overall it could be a seriously potential to light restoration Z-car project or just as is. Here's we found this an American classic 4x4 wagon was produced by AMC, is the first four-wheel drive car as a station wagon in the U.S. at the time was called the AMC Eagle. As we've seen here is a AMC Eagle wagon 1982 model year powered by straight-six gas engine mated with automatic transmission, all looks good with perfect shape, the owner claims is a runs and drives very well, daily driven car, has 253000 original KMS on it, quick sale. 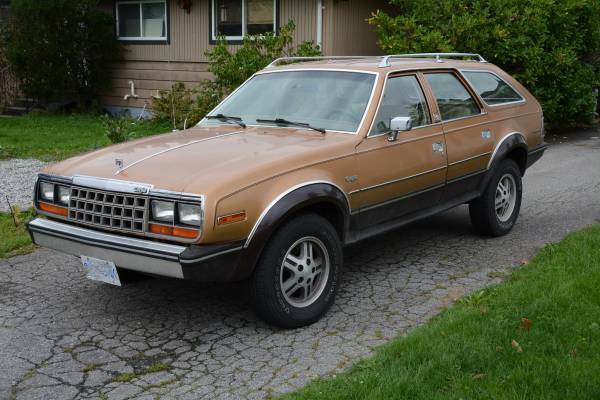 This a classic AMC Eagle seems had good maintenance, still in original never get restoration or custom touch, perfect shape hard to see rust or dent here, unfortunately no interior and engine photos, and not much details was written on its ad, so you should come if seriously want him. Already offered in Craigslist about a month ago asking for $3000 OBO in Vancouver, BC. Do you remember American classic drama series in 80's takes in Hawaiian setting entitled Magnum, P.I. yes if remembered you should know and familiar this car. As the picture is a V8 mid-engined, 2-seater sports car the Ferrari 308 GTSi 1982 model year quite rare and it a survivor car very clean come with 34 K original miles and an impeccable maintenance history! The pics as confirm, all looks awesome and perfect shape, all original perfect and works as well also, no bad mentioned and no needs nothing. More photos or videos just ask. 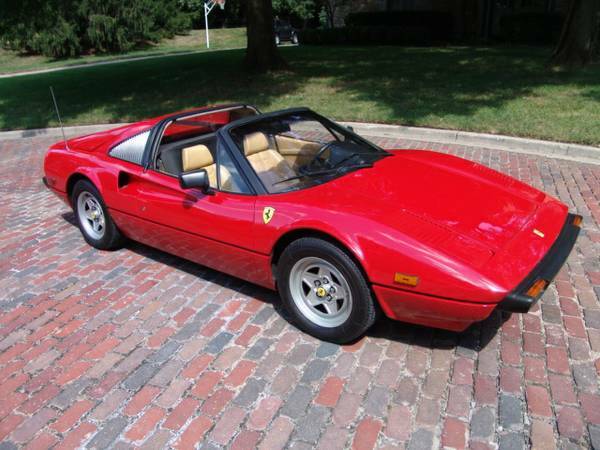 Overall it a beautiful collectible Italian Sport Car, 1982 Ferrari 308 GTSi ready to go for $63000. If you interested go meet him and prepare your deep pocket. I hope it's a real car and no hidden by seller.